One Faber Group has appointed The Media Shop to manage its integrated marketing efforts from September 2018. This was following a tender and the appointment is for one year with an option to extend for another year. The agency will also handle regional media duties including planning and buying in a bid to raise awareness of One Faber Group’s key attractions, targeting locals and tourists to increase footfall and sales conversion. 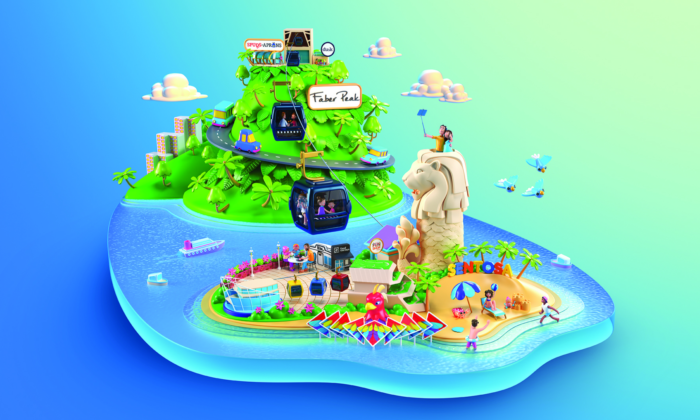 Launched in April 2017, One Faber Group, an autonomous subsidiary of Sentosa Development Corporation, operates a suite of leisure and lifestyle services including attractions, guided tours, event venues, souvenir and lifestyle outlets as well as F&B operations. These also includes the Singapore Cable Car, the outdoor night show on Sentosa, Wings of Time and Sentosa Merlion. “We are delighted to be given this valuable opportunity to work with a brand with such a rich heritage. Winning this account showed that we understood the needs faced by the client, and had demonstrated our capability in working towards One Faber Group’s marketing objectives,” Jessica Toh, CEO of The Media Shop said. Earlier this year, One Faber Group revealed its new brand logo, created with reference to the two logos it used to promote local attractions such as Singapore Cable Car and Faber Peak Singapore, which it is known for. The new logo followed the launch of the company in April last year. As general manager, John will oversee both Wunderman and AGENDA Kuala Lumpur. .. The CEO of Malaysia External Trade Development Corporation Dato' Noharuddin Nordin has been appointed as the chairman for the exec..
Was it a terrible PR move for IKEA to threaten fan site IkeaHackers.net with legal action?..